Grey buffalo check is a classic and looks oh-so-sweet combined with soft pink roses, dahlias and a pop of green and bright pink! 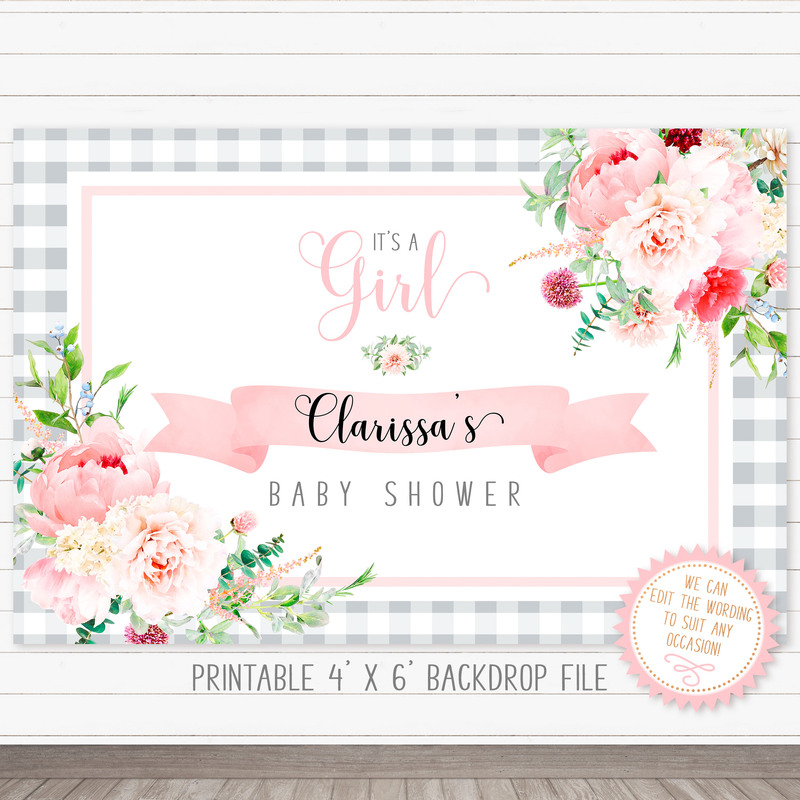 • Type your backdrop wording into the box, add to your cart and check out. • Once you have placed your order we will edit the backdrop text to your specifications and email the full resolution, ready-to-print file within 2 business days.